Running a restaurant comes with a variety of daily challenges. MTO Janitorial offers their professional expertise for the floors in your Prescott restaurant, and will not only meet but exceed the cleaning challenges every restaurant owner is all too familiar with. Most restaurants have long business hours making it difficult for them to thoroughly clean major stains and messes. 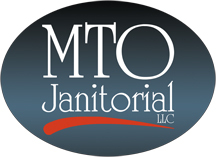 MTO Janitorial can accommodate you right after closing or right before opening. We can bring commercial fans to speed up drying on floors or carpets. If you have carpeting or fabric upholstery, you know that stain and odor removal can be a challenge. MTO Janitorial can address that with our professional upholstery cleaning service, which includes odor removal and stain treatment. Other difficult and time-consuming challenges can include grease or hard to remove gum or wax. While that may not be easy for your staff, it's not difficult for us. Difficult problems are just one more area that we are equipped to handle professionally. The kitchen can be a bigger challenge than most realize. It needs to not only look clean, but also needs to be sanitary. Greasy floors (which can be slippery, and therefore hazardous when wet) need to be handled properly. Grout lines in your tile can harbor germs and contaminants. Let us help keep your restaurant really clean with our professional tile cleaning. We realize that restaurants use a lot of their budget on marketing, food, and staff. You might be tempted to reduce costs by purchasing less expensive cleaning products. We know that you're in the food service business - not the cleaning business - which means we don't expect you to have the right cleaning equipment available. A smart solution may be hiring MTO Janitorial for the additional support you need to keep your restaurant sanitary. MTO Janitorial is the perfect solution for your Prescott restaurant, whether for commercial floor cleaning or general maintenance. Please call us today for a free estimate at 928-772-0004.